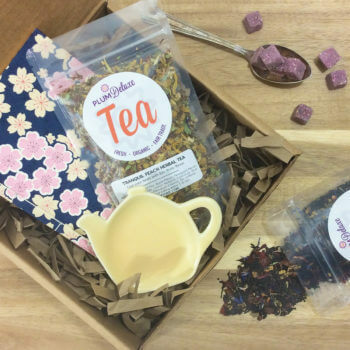 The smaller version of our mystery box of lovingly curated goods. $23/box. 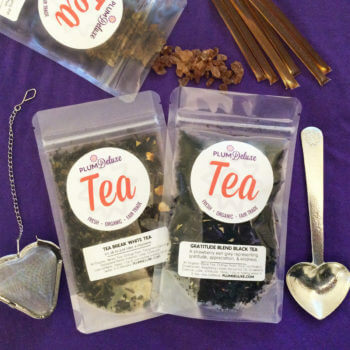 Not sure what tea to get that special someone? 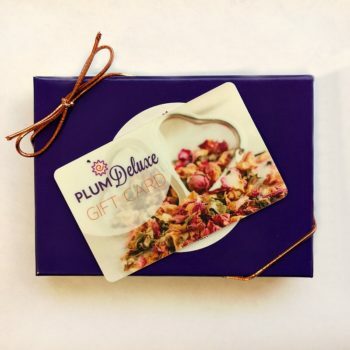 Don’t fret – just get them a Plum Deluxe gift cart! 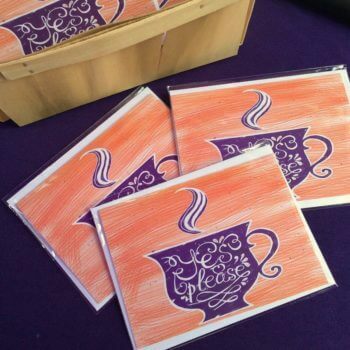 Beautiful purple gift card box and wonderfully designed printed gift card. 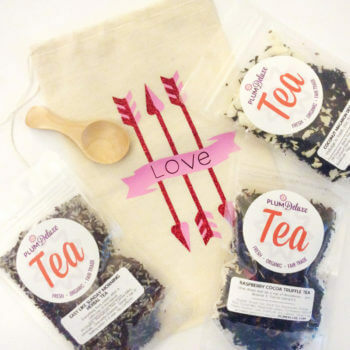 Our adorable Tea Trio gift set is just the thing for any gift needs. 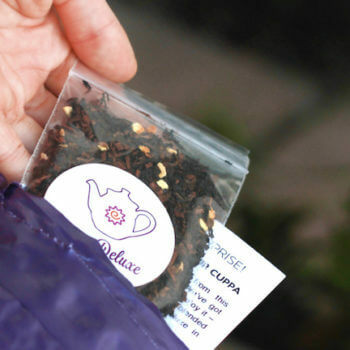 $27, includes 3 teas, spoon, muslin bag plus gift card. 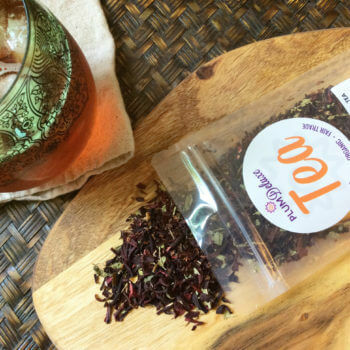 Enjoy fresh tea paired perfectly for the season. 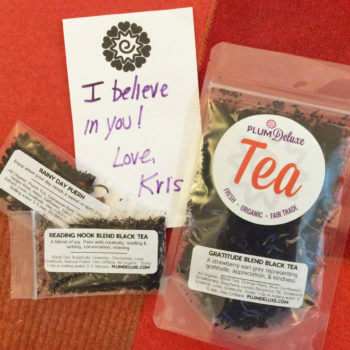 Gift subscriptions available for 3, 6, and 12 month increments, starting from $30.